Check-Out is an article that gives you a glimpse at items under $300 that have crossed the desks here at Pinkbike that we've not had a chance to review yet, but we feel that you may want to take a look at. This bag is versatile. 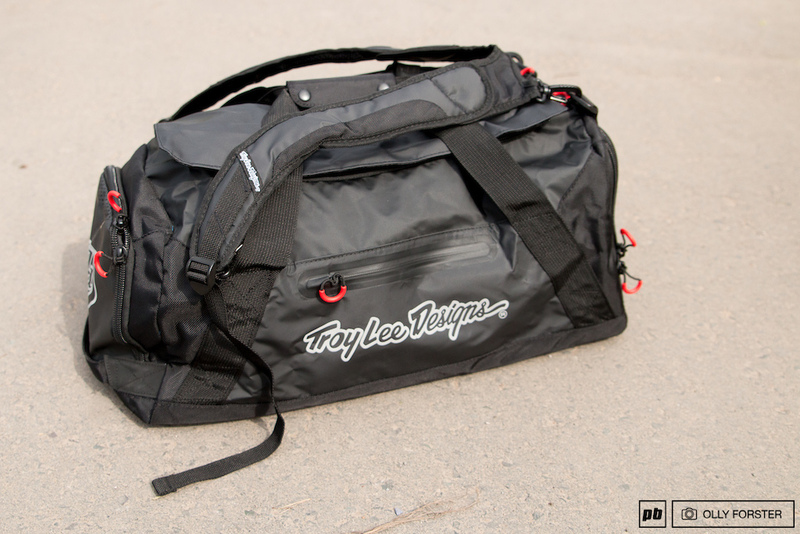 With 70L of capacity, you can get lots of gear into this lightweight, sleek bag. Grab handles and a 2-way carry with included backpack straps make this bag easy to transport, with water resistant materials and internal stash pockets, this guy has it all. Designed to address the needs of our pro team athletes, the PivLock Arena Max provides a larger lens profile for increased coverage and enhanced fit for larger faces. From the start line to the podium, the Pivlock Arena Max is there for you with features like our two-position adjustable nose piece and performance-proven interchangeable lenses. 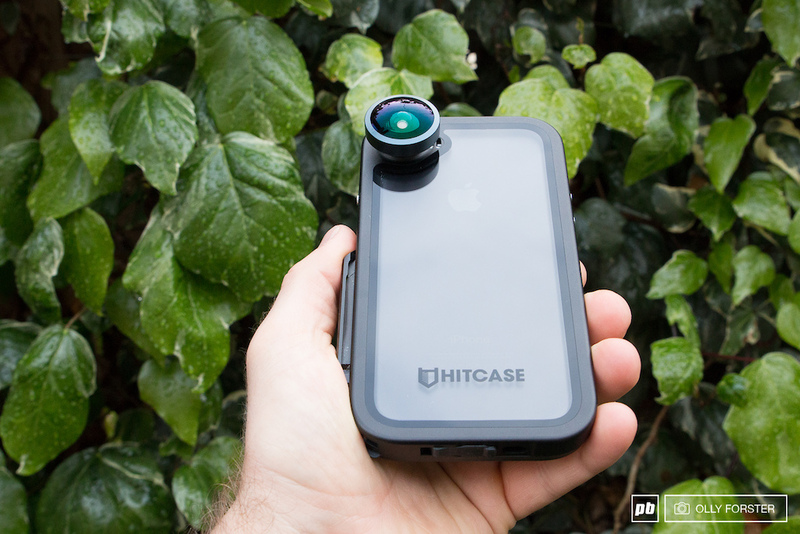 The Hitcase Pro is the solution you’ve been looking for to get creative, have fun and to leave the complex gadgets at home. That’s why Hitcase Pro is all you need for adventure and travel photography and video—no matter how intense it gets you’ll be able to capture those amazing moments. Even better, you can still keep your phone fully functional, weekend ready and travel proof with an ecosystem of mounts and lenses that you can easily detach to go low profile. There are three easy mounting lenses for increased versatility and creative capture. 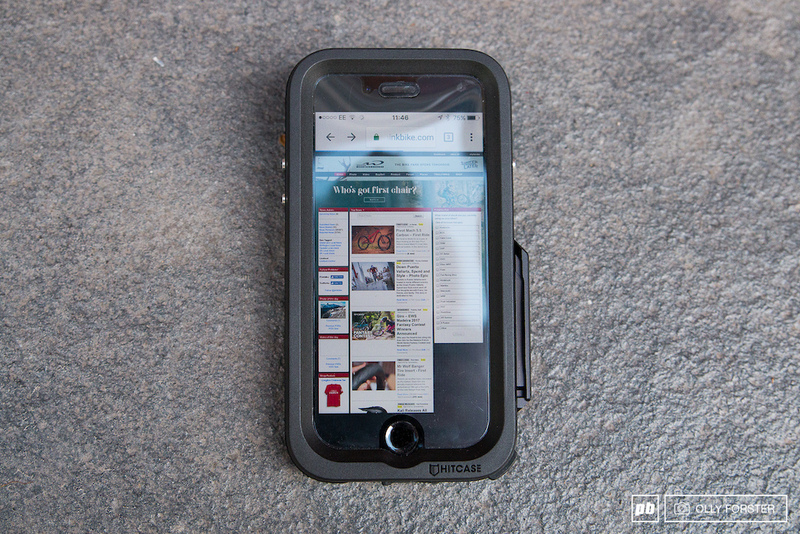 The Hitcase Pro offers shock absorption, waterproofing and quick GoPro compatible mounting with no compromises. Explore your city or explore the world—Hitcase has you covered. For 2017, we have exciting news that we have created a custom Brendan Fairclough Prospect Goggle. 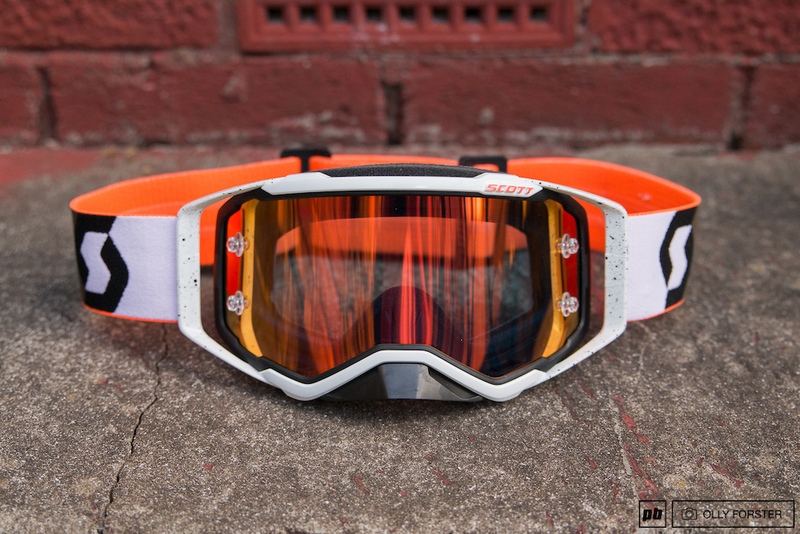 The Scott Prospect Goggle begins a new chapter in a much-decorated goggle history at Scott. Capitalizing on 45 years of experience, the Prospect pushes the limits of the field of vision, comfort, lens retention, WFS technology and much more. Grab this goggle and get ready to roost. 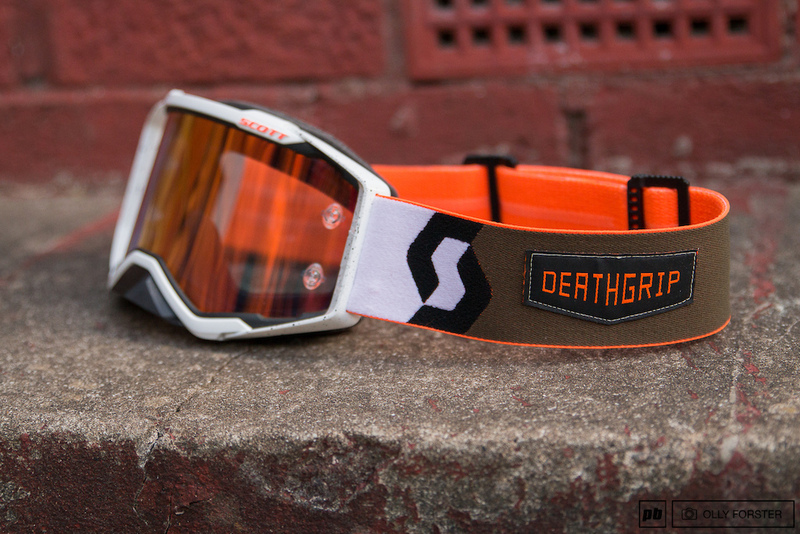 As a partner for Brendan's new film, "Deathgrip", we are proud to release his first pro goggle. The Dakine Pickup Pad DLX builds on the heritage of the original Pickup Pad pioneered by Dakine. Updated DLX features accommodate new backup camera technology via the enlarged access flap and fit modern tailgate styling including wider spoilers. 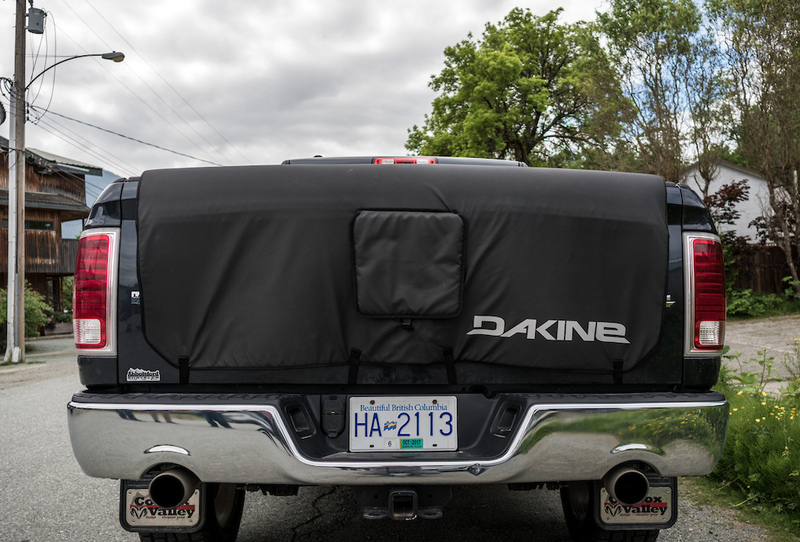 This padded tailgate protection allows for the quick and secure transport of up to seven bikes on the large full-size truck pad and five on the small mid-size truck pad. Two lockable grommets on either corner are for securing the pad to the truck for cable locks. The fleece-lined thick pad creates a barrier between your truck and bike so you can leave it on all season long for quick shuttle laps anytime. Green Oil makes the World's greenest bike fluids. That means less cancer and less pollution. If you want to stop PTFE and petrochemicals going into the environment via your bike—Green Oil is the way. 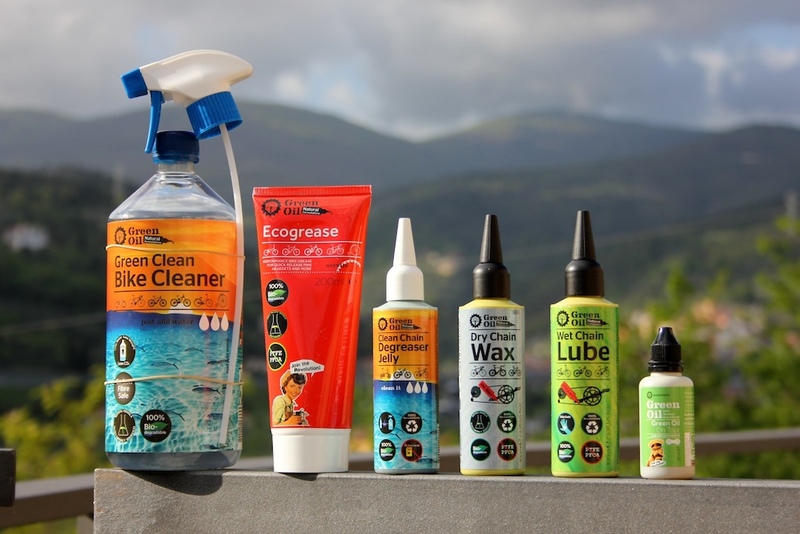 Our products work, without the pollution to your trail, or to your body. 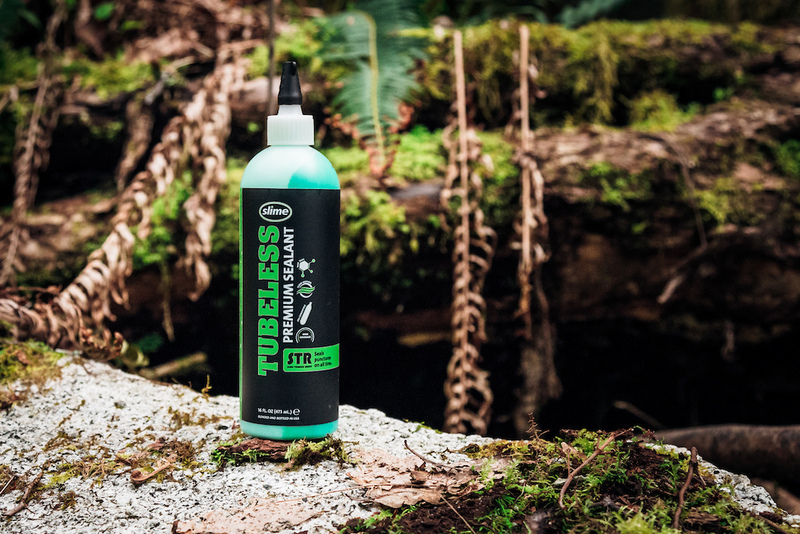 Slime's new formula is allergen free and tested to seal up to 1/4" punctures while still being CO2 compatible. It contains no ammonia and stays liquefied longer, requiring fewer refills. The cap includes a built-in core remover and each bottle includes a press-on Presta tube adapter for easy application. 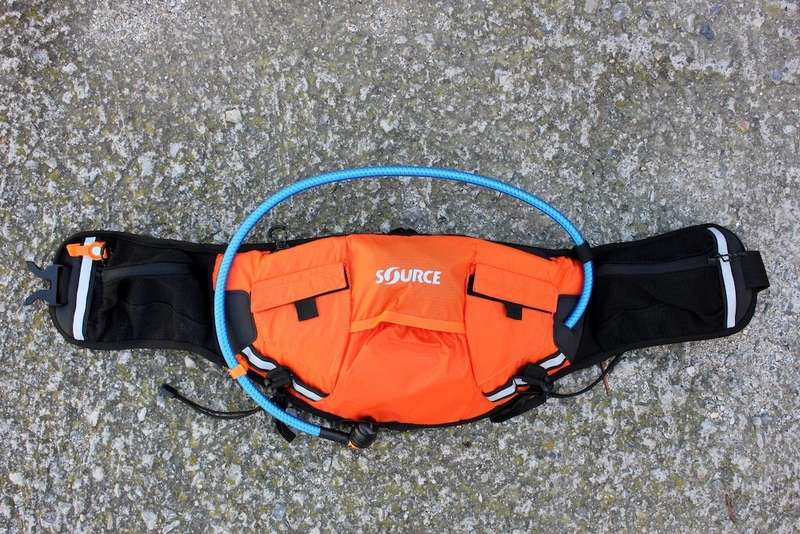 The Hipster marks a milestone in the hydration pack industry. Often belts come with bottles, we opted for a functional, ergonomic bladder system with a tailored reservoir. The belt gives your back the breeze it has always wished for, and you get the full comfort of sipping from the tube instead of pulling out the bottle. The harness can be removed easily and the mesh material ensures it is also comfortable wear for those very long outings. A fly-fishing rod? On Pinkbike? Yes. When the rod in question is light and compact enough to fit into a larger hydration pack, then hell, yes. Tenkara's back-to-basics approach to fly fishing isn't for everyone, but then again, you don't have to be some kind of Zen master to work the thing. For some of us, mixing in a bit of fishing with a long ride to a stream just about amounts to the perfect day. For off-road riders who give up seat packs for dropper posts, Rapid Pack is perfect for mountain bike rides lasting two hours or less. 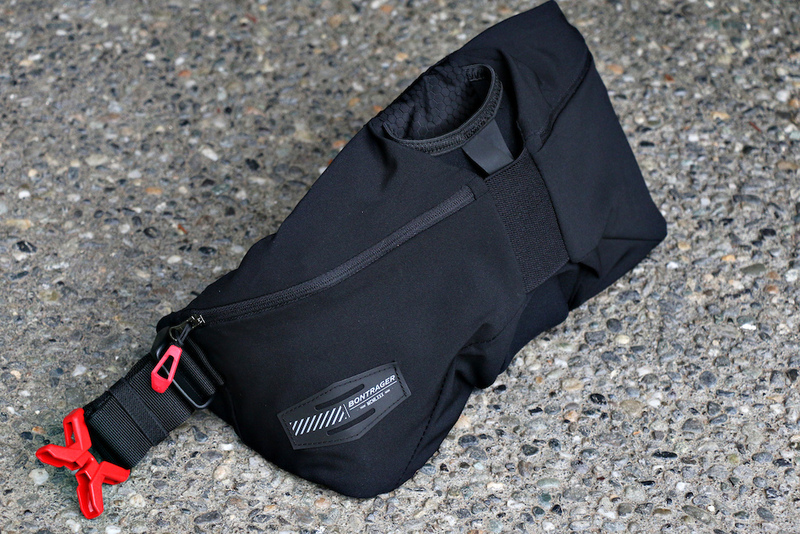 Designed with a sleek aesthetic that makes you feel like you aren't wearing your uncle's fanny pack, this bag holds all your essentials when cargo pockets are being used and hydration packs are overkill. Hitting the streets on June 6, 2017, OneUp's new Alloy Pedal features a huge platform, but at just 12mm thick with leading edges of only 8mm, it won't hang up on obstacles. Our proprietary axle retention system with built in bearing extractor offers unparalleled serviceability and protection from the elements. I got made fun of in school back in the early 90's for my fannypack, so no way I'm getting tricked into wearing one ever again. Dang! Those pedals look legit. Prob be my next set. Reasonable price tag too compared to others I've been looking at. Serious question, i don't understand all these expensive allow pedals. Nylons are lighter and seem to shrug off hit just as well. What am i missing? The diffrence is composite pedals will Basicly blow up after so many hits,they crack and split and break so much more easily. Also if you break pins off flush they can be impossible to replace. I've had 3 sets of them now and my next will defo be a solid alloy pair. @freestyIAM: Good question. Aluminum pedals allow you to take advantage of thinner wall thicknesses compared to Nylon composites. This in tern allows a designer to create the thinnest possible platform for a given axle/bearing configuration. An aluminum pedal can withstand rebuilding more easily compared to it's composite cousin and hold tighter tolerances with respect to any bearing fits. Pin thread pull out strength can only be achieved in an alloy pedal and therefore a bolt/nut system is required for composites. Typically nylon pedals don't have large platforms or as many pins for grip and therefore tend to be lighter. We strove to not compromise platform size or grip on our designs and matched the weight between them. @freestyIAM: I'm with you. I picked up some nylons for around $40 bucks that weighed significantly less than their alloy counterparts and I've had no issues. @OneUpComponents: Thanks for that thorough response. Love it when I ask a question and get some useful info (sometimes rare on PB comment boards). And from the manufacture no less. One up vote for OneUp. They look a lot like a set of Specialized I bought new at the bike swap and found to be awesome. Maybe a pair of the composite will be in order for my back up bike. The price is right. I should have worn them to stop my eyeballs exploding from the greatness of the movie ! Smith Pivlock glasses do not! 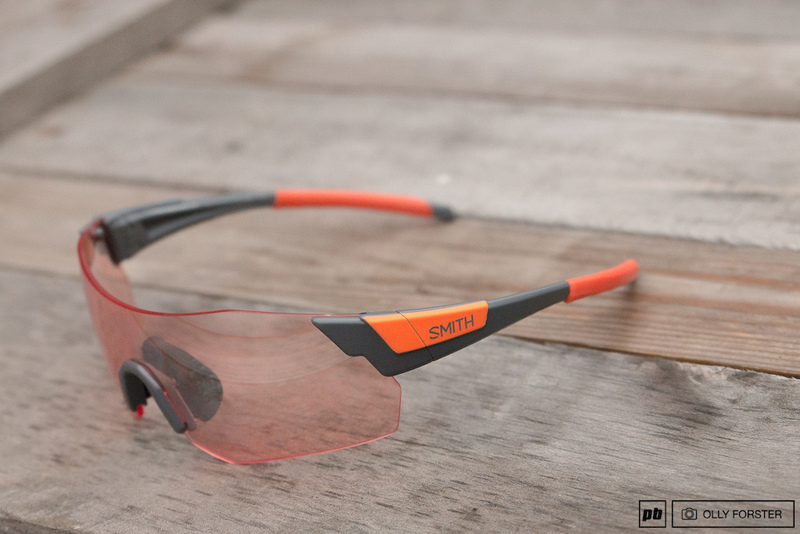 Seriously smith make something worth wearing for a decent price otherwise I'm going for dem death grip goggles or hell a pair of Pit Vipers. That fishing rod looks cool, but (not being a fisherman myself) what happens if you catch a fish that is too big? Is there a way to release the fish without breaking the rod? Would the fish be trailing a book and line for its lifetime as a result? Or is it the fisherman's curse that you NEVER catch a fish that is too big? Well, "too big" is never really a problem regardless of the question. But you can have your fishing line rated at specific weights to help prevent breaking your pole. The hook will rust out of the fishes mouth surprisingly quickly. I have one of these rods. 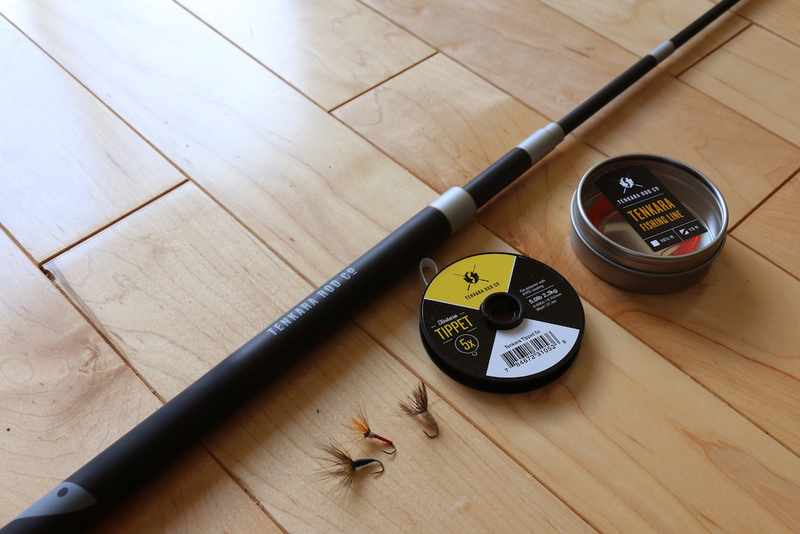 They're made of carbon fiber and are very strong, the tippet (the clear line on the end of the streamer on a fly rod) will break before the rod will. As mentioned, you can get different strengths of lines depending on how big of a fish you're expecting. That being said, these rods are really meant for fishing in smaller streams and ponds since you don't have much casting length as they have no reel. That tends to limit the size of the fish that are available. Actually, less about line weights and tipetts, more about how much stress you allow the road to take. That is controlled via the drag on the real, loosen the drag, less stress is put on the rod, tighten, more stress is put on the road and line....this is what makes it possible to catch big fish on lighter rated rods and lines. @PJD1: This is a tenkara rod. There is no reel. @PJD1: tenkara poles don't use a reel. @rpearce1475: Exactly. The mini Teton is geared towards fish two pounds and lighter. There are Tenkara rods aimed at larger fish, but this is a small stream rod. That said, careful playing of the fish and upsizing the line slightly can bring in fish bigger than that. Which Tenkara rod model are you using? Oh that's cool. Same applies though no? Just how much you use the line threw fingers as drag? @PJD1: I assume so, with line strength and whatnot. I associate it with the sport of micro-fishing which seems to be about catching as many kinds of small fish and cataloging it. Sorta like Pokemon-Go. I'm not an angler myself, but I live right near a lake and I see some folks practicing it. I won't be spending that much on a rod, but I've considered getting a setup like that for casting into alpine lakes on rides and hikes. I use an old 90's version of this regularly for the small stream game. Great little rig. Can carry it and tackle with very little real estate in a pack. @vernonfelton: I'm surprised to see tenkara mentioned here. I have a TUSA iwana and a nissin pro square 320. They are nice to carry around and take a break and hit a small stream. @TProud: I wasn't sure how PB commenters would react to the rod. Stoked to see people get it. Fishing and bikes have always been my twin passions. Bikes were the tool to take me to those out of the way spots when I was a kid and my best days still involve combining a ride with some casting. @vernonfelton: check out Cape Cod Canal bikes. Guys use women's frames so dismounting is easier with waders on. With ever decreasing access to good saltwater surfcasting spots, some guys use fatbikes on the beach to access spots. @vernonfelton: how did i miss the fly rod? This made my day! @weebleswobbles: It's crazy how light that rod is and how small it packs down. It's pretty cool. @vernonfelton: it will likely be my next purchase! Please don't forget pink bike is a sellout for the person with the biggest checkbook. This sites became all about advertising. I understand that you have to keep the lights on but not at the expense of selling your readers garbage and endorsing it. Don't forget everyone run out and buy superboost or you won't be able to keep up with your buddies. Are consumers really that stupid that they think you need bicycle specific lubes that cost a fortune to protect your components from where. If so make sure you buy the $120 duffle bag to carry your overpriced Lubes in fools. I just dip my bike in a vat of machine grease every so often. 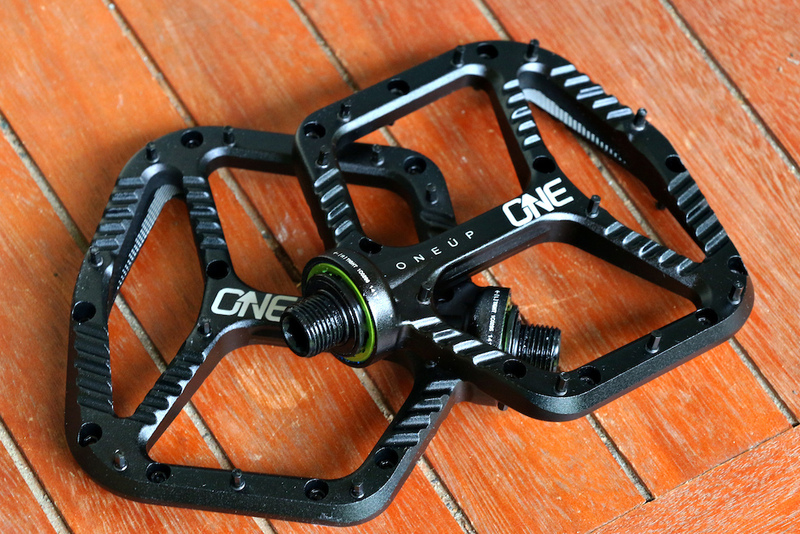 I think the pedals are sweet @OneUpComponents but, then again all your products are sweet so it doesn´t surprise me!!! Looks like pink bike is fishing for Quality items to put on the under $300 list. Love the fishing rod, both of my hobbies in one place! Now find me a ball hitch for my bike so I can tow my Kayak to the river Pinkbike!! Thats actualy a cheap price for a pack rod. I just did a bike tour with my inflatable boat in my pack with my fly fishing gear. Drangon fly makes afordable rods as well. I like that fishing rod. Looking around for a telescopic one with a reel so I can ride and fish! Is the Green Oil Bike Cleaner safe for my e-bikes, or do I need to stick with my dedicated e-bike cleaner? Race gas and a match works best to clean E bike. Sealant bottle with a built in valve core remover = awesome idea! Those pedals look like they should be WAY lighter. CRAMPON MAGS!!! Thanks for the comment. I think you'll find these are among the lightest pedals on the market that don't use Titanium or Magnesium. @OneUpComponents: I think you'll find that companies that need to defend their products on an mtb website comment section may have some insecurities regarding said products. @OneUpComponents: your pedals look great. I agree they are light for alloy pedals.